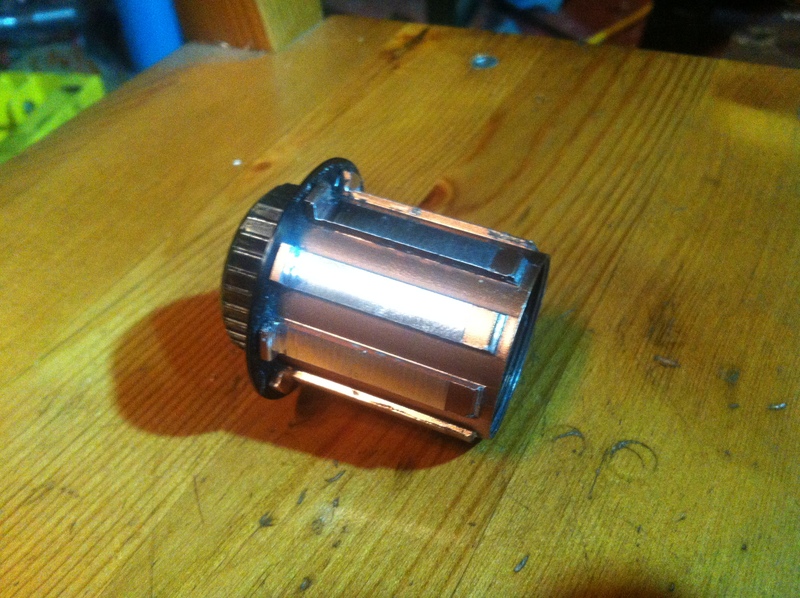 A lot of people don’t realize it but a lot of 10 speed hubs have enough material to remove a little bit and turn it into an 11 speed freehub body. 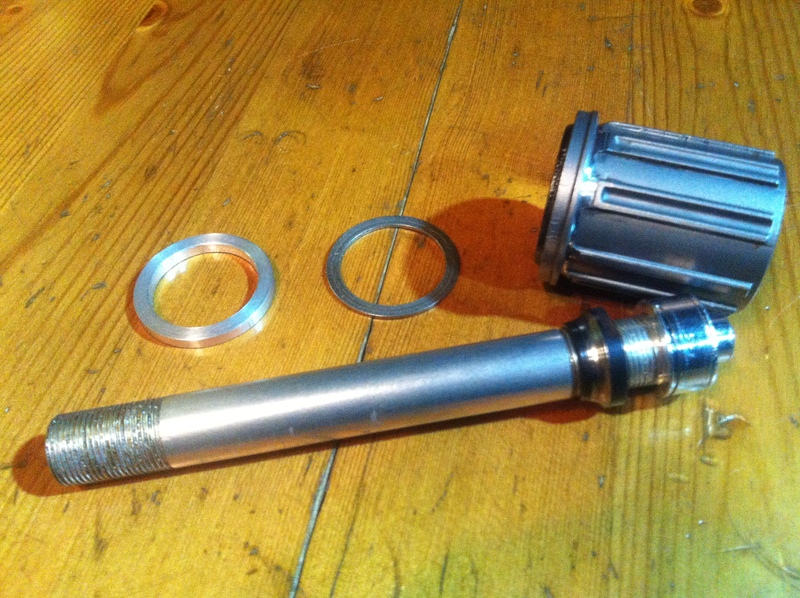 Here’s a Shimano Dura Ace freehub and axle I modified to make room for 11 gears. 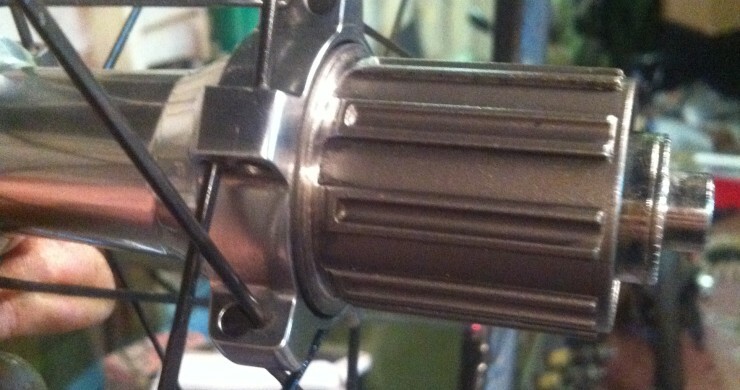 I can’t remember which this hub was but it was fairly easy to modify compared to the Shimano.